Some of your highest ideals of human fellowship and comradeship were not created in a moment, but represent the work of ages. 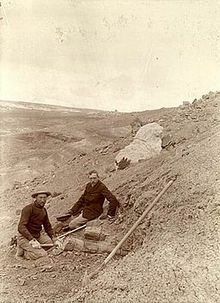 Henry Fairfield Osborn (August 8, 1857 – November 6, 1935) was an American geologist, paleontologist, and eugenicist. He described and named the Ornitholestes in 1903, Tyrannosaurus in 1905, the Pentaceratops in 1923, and the Velociraptor in 1924. Direct observation of the testimony of the earth ... is a matter of the laboratory, of the field naturalist, of indefatigable digging among the ancient arcihves of the earth's history. Care for the race, even if the individual must suffer — this must be the keynote of our future. "Evolution and Religion", The New York Times (5 March 1922), p. 91; written in response to an article a few days earlier in which William Jennings Bryan challenged the theory of evolution as lacking proof. Care for the race, even if the individual must suffer — this must be the keynote of our future. This was the guiding principle which underlay all the discussions of the Second International Congress of Eugenics in 1921. Not quantity but quality must be the aim in the development of each nation, to make men fit to maintain their places in the struggle for existence. We must be concerned above all with racial values; every race must seek out and develop and improve its own racial characteristics. Racial consciousness is not pride of race, but proper respect for the Purity of race is today found in but one nation — the Scandinavian. But the voice of anatomy, like the voice of all nature, never reaches the mental ear of the Great Commoner. It is the novel province of anatomy to tell the truth, the whole truth, and nothing but the truth about the structure, the origin and the history of man.